Last night It rained, thundered, and the sky lite up with lightening! This is so unusual in Southern California. I wonder if we are still in a drought. Perhaps our lawn will be greener before January or February. 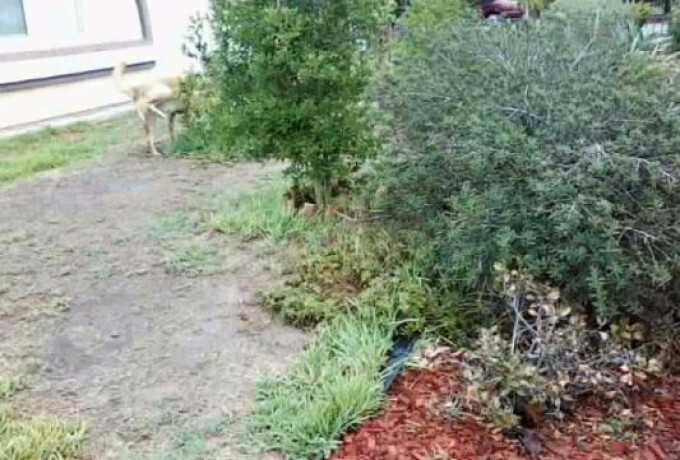 I was thinking we had to take out the whole lawn area and replace it with red bark mulch, drought tolerant plants, and rocks mixed in with gravel. Only time will tell.